Nearly 60 Palestinian refugees were detained after fleeing the embattled Syria’s Yarmouk refugee camp as the Syrian government escalates its ongoing military operation in southern Damascus. The Action Group for Palestinian Refugees in Syria affirmed that 60 Palestinians, mostly children and women, were arrested while trying to pass through Arouba checkpoint erected at the entrance to the refugee camp. 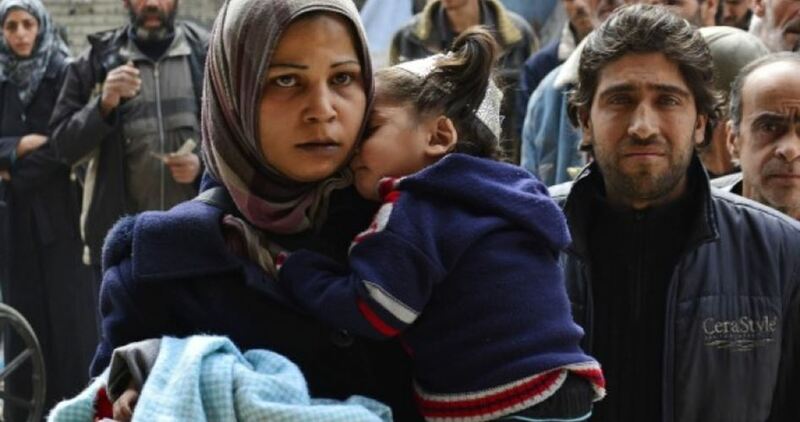 Yarmouk residents have appealed for the release of all the detainees who had refused to leave their homes despite the very difficult conditions. The group also pointed out that violent clashes erupted yesterday in the camp following an intense campaign of air raids as well as missiles and shells. Yarmouk, which has been besieged by the Syrian government and opposition groups since 2013, was once home to nearly 200,000 people, among them Palestinian refugees, Syrians and others.